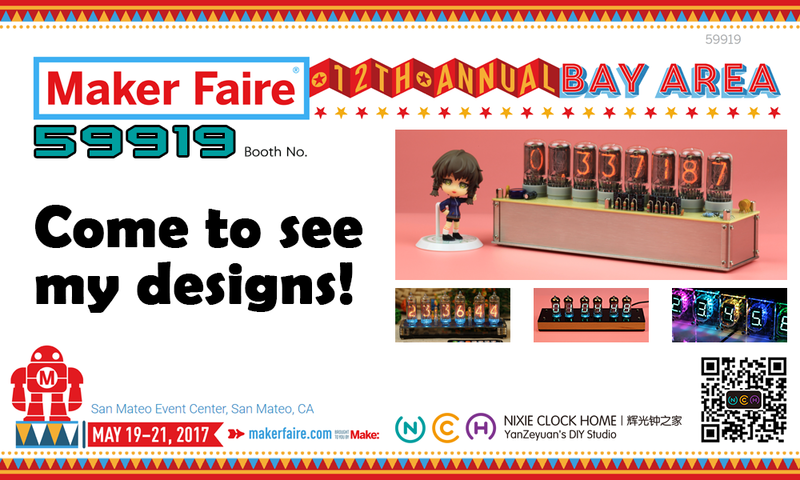 It’s time to count down for Maker Faire 2019 !!! we will show all our works there, looking forward to seeing you at the Bay Area CA, May 17-19, 2019. The new year begins, thank you for your always support to NCH, and wish you all the best in the new year! ! ! It’s almost Maker Faire time in the San Francisco Bay Area. Aiden and I, cordially invite each and every one of you to stop by our booth, if you plan to attend this event. It’ll be held on May 18-20 Fri-Sun, at San Mateo. 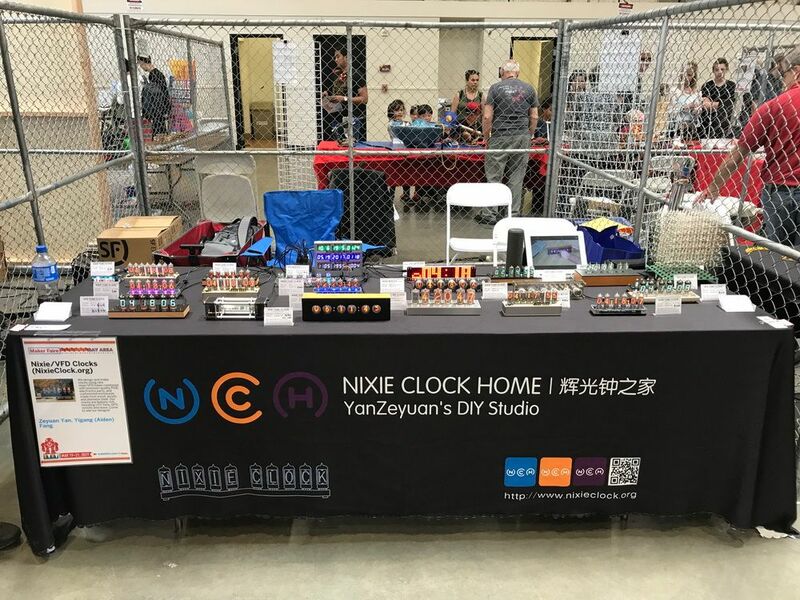 And we will be showing off our collections of nixie clocks then. Of course you can buy the clocks you like at the scene! Most importantly, a HUGE discount will be offered at the event for most of our clocks for sale. 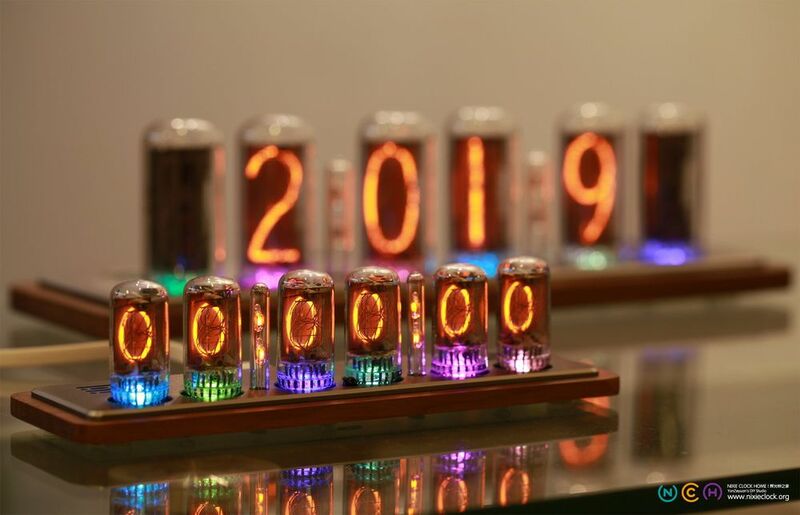 With more and more friends know the Nixie tube, many enthusiasts have begun to try to design their own Nixie clocks, no matter how the function and apperance changes, if you want to make this endangered old device glow, you need a high voltage power supply. Now, the DC-DC boost converter is no longer a problem, whether it’s well-known MC34063A booster or the traditional NE555 booster circuit, all can easily to drive Nixie tubes. But in order to meet more creative requirements, smaller size, lower input voltage, more load capacity and higher efficiency has become the goal we have pursued. This time, after the NCH6100HV boost module, I packaged a new high-voltage DC-DC boost converter again, but this time it’s smaller, lower input voltage (easily to power it with lithium battery), the load capacity is stronger and efficiency is higher, it’s the NCH8200HV Nixie power supply. Five years ago, I released my first IV-11 VFD Clock works (link of original post), few Chinese people know about IV-11 VFD tubes at that time, because the size of IV-11 is bigger than YS18-3 (Chinese VFD tubes), and I designed a hardwood base with bright black plates, so it become more and more popular after released. In 2015 during Chinese Premier Li Keqiang visiting Chaihuo Maker Space, he praised this work and has been reported in the tv news. 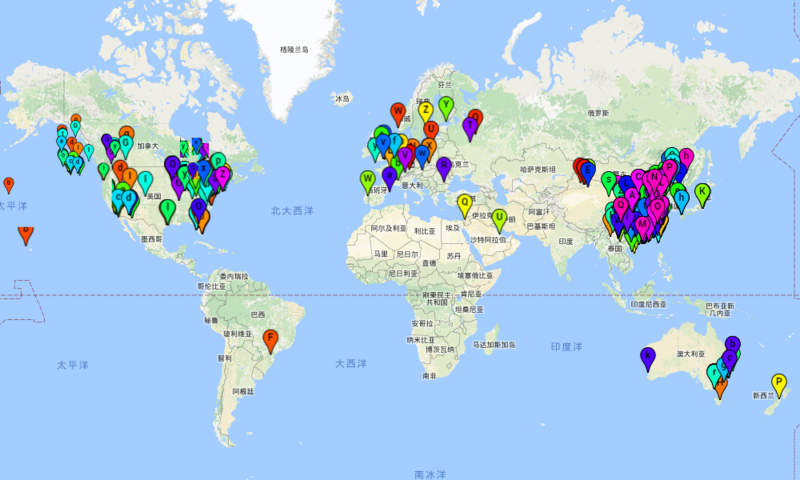 In the past five years, this IV-11 VFD tube clock sells well in Europe, North America, South America, Australia (my IV-11 clock world distribution map). At the same time, IV-11 VFD tube clock is not just a finished product, I also prepared a full set of DIY kit for DIYer, and particularly worth mentioning is all components of the clock kit are DIP and THT parts, no any SMD components, which means it’s very easy to assembly, DIYer don’t need a very professional soldering skills, don’t need very special tools to complete it, not only enjoy DIY fun during the assemblying process, but also to learn a lot of things about electronics, and finally you will get a very classical digital clock, which is why it became popular for DIYer. During past few years, I received a lot of emails from different countries and different field, I summed up some of their comments and suggestions beside share their sense of accomplishment, which also provide me power for new version. Continue reading Maker Faire 2017 !! !